For more than a thousand days and nights, Nico Stojan tapped away at what is now before us as ‘Twisted Manners’ - his debut album telling stories in sound that are both electronic in nature and human in touch. Each organic sounding track on the release, including their neighbouring interludes, graze on the moments, people and cultures which have encompassed the albums journey and brought it forward to what it is today. These inspirations have merged from moody mornings in foreign lands (‘Blue Hour’) to his love affair with the elements of jazz (‘Tortured Paper’), to the breezy ways of the Pacific Island people he connects with so much (‘Maori Girl’). These diverse cultures and the passing musicians who have importantly contributed to the essence of the album have built strong yet invisible strings with a myriad of voices and instruments which weave throughout the music giving us a piece of work that is both textured in flavour and rich in motive. Twisted Manners is a clean example of this - house music whose soft open spaces and gentle beats sway easily through analog sounds coming from string quartets, saxophonists and double bass players to name a few. These collaborations and Stojan’s guiding ear will walk you right into the dreamy spaces and faraway places of his travels without you breaking a sweat. 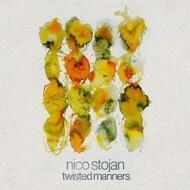 Seasoned with moments stolen under the fading light of day, long trips into the beautiful nothingness of his eclectic surroundings and respect for electronic music that is both timeless and sincere, URSL records is delighted to present Stojan s debut album, ‘Twisted Manners’.